LONDON (ICIS)--Mercosur's excessive reliance on exports to China and industrial protectionism in chemicals are core stumbling blocks to reaching a free trade agreement (FTA) with the EU, a policy paper published by the 28-country bloc said on Monday. 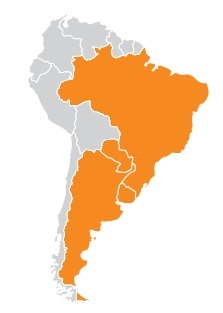 Mercosur includes Latin American countries Brazil, Argentina, Paraguay and Uruguay. Venezuela is a full member but has been suspended since 2016. Bolivia is an associate member. “An AA [association agreement] between the EU and Mercosur would create a bi-regional bloc with considerable clout on the world stage,” the paper titled Towards an EU-Mercosur Association Agreement enthused. However, it went on to say that "increasing trade protectionism" around the world makes closing a deal that "has already taken too long" even more "urgent" – a likely reference to recent trade and political spats between the US, China and the EU. The current round of EU-Mercosur negotiations was relaunched in 2010, but talks were put on hold between 2012 and 2016. The most recent round of talks ended without agreement earlier this year, and renewed political will is needed to break the stalemate, the paper said. Brazil is one of the world's largest ethanol producers and the arguably cornerstone of Mercosur trade with China. Ensuring standardisation in trade could also pose logistical, environmental and human rights challenges, while the Mercosur trade block is less integrated than the EU, according to the paper. Products subject to quotas should also "be subject to a continuous and approved monitoring system, with a view to adopting compensatory measures in the event of major" disruption. After a recent round of trade talks with Mercosur ended without an agreement in the first quarter of this year, delegates travelled to China to focus on trade talks there, a Mercosur source confirmed to ICIS in May. They said that consolidating export access to China would take priority after talks with the EU fell through.